Want to feel a suitable location for inspiration? Try to come to Big Sur. This small city is considered as the most appropriate place for arts workers in the U.S. for inspiration. 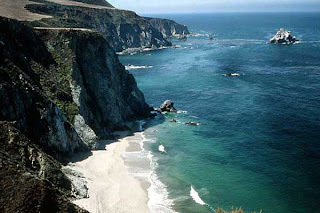 Big Sur is about 480 km from south Los Angeles and 240 miles from San Francisco. The visible blue Pacific Ocean on one side of the road and mountain views located on the other hand, to accompany your trip to Big Sur. 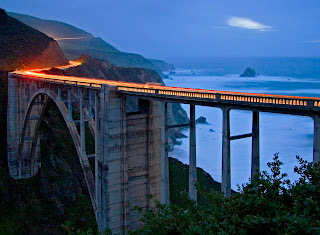 The most spectacular coast of Northern California, Big Sur is peaceful and inspiring. With beautiful beaches, mountains and redwoods. The road towards Big Sur narrow and windy, and there is no train station or airport nearby. Mobile phones is very limited. Gas and lodging places there are also very expensive. However, when you got here, the charm of the beauty of Big Sur as mountains, seas, birds are flying, and the inn-inn that looks unique, it will make you surprised. Moreover visible mist surrounded the Santa Lucia mountains, and beaches have tidal seawater and equipped with large rocks. Henry Miller, a writer, who has lived and worked in Big Sur in 1944-1962, had written an autobiographical book titled 'Big Sur and the Oranges of Hieronymus Bosch' in 1957.